If you’ve read my 101 in 1,001 list, you know two of my goals are Take my Dad to a concert and see Dave Matthews in concert. 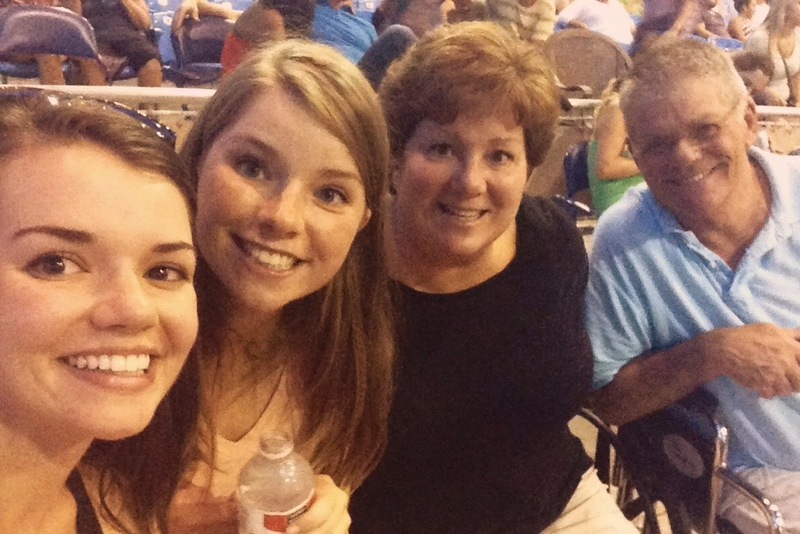 I’m a multitaskin’ kinda gal, so the Mullens finally made the pilgrimage to see Dave Matthews. He comes to West Palm for two days every summer and I bought lawn tickets for the Saturday night show. Full disclosure: my Dad has been excited for months – he has texted me every morning with Dave’s set list from the night before. We all had our favorites that we were praaaaying for. Two Step / Don’t Drink the Water for Faj. I wanted Grace is Gone because that’s my jaaaaam. SB was gunning for Two Step as well, and Libby was …. Libby wasn’t there. Lib was in the Keys with a friend for her birthday and missed Dave in all his glory. 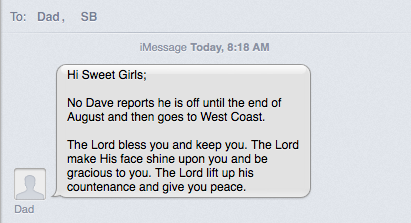 It’s been two weeks and he’s still updating me every morning. He called yesterday because Dave played So Damn Lucky, Two Step, and Old Dirt Hill… all of which are Dennis Mullen favz. There were SO many people. The Cruzan’s website says they can fit 19,000 people in their ampitheatre. 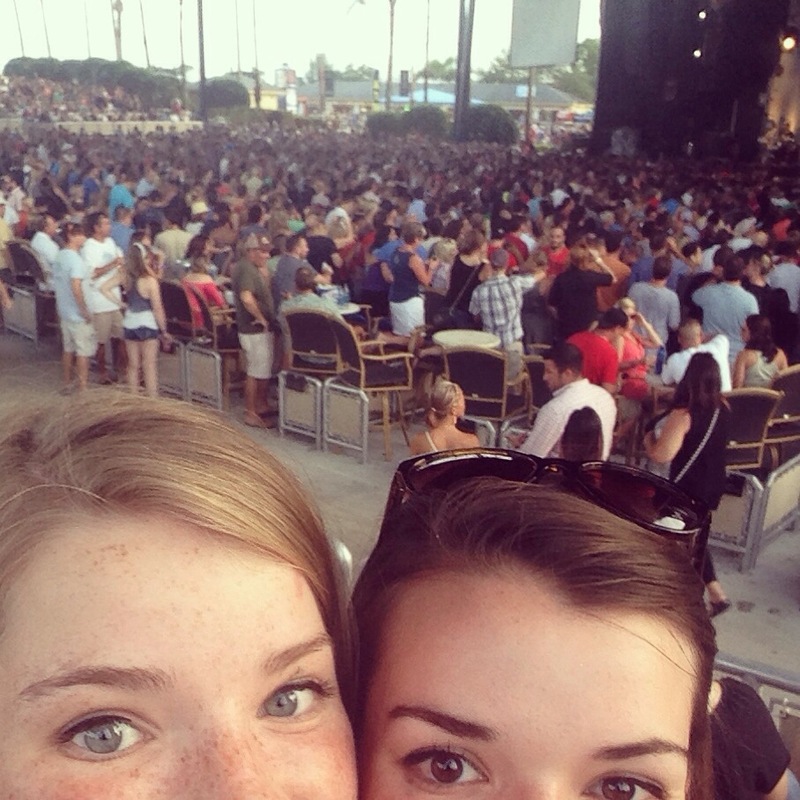 The show was sold out and the lawn looked like it was standing room only in some parts. We had lawn tickets. We did! Dad had knee surgery the week before the concert, which ended up being a more serious surgery than initially anticipated. I called the ampitheater to see what their policy was about wheelchairs on the lawn. As you can imagine, they’re not a fan of rolling chairs with injured people sitting on a large, cramped hill. They told us to get there early and ask for the Disability Coordinator. That Disability Coordinator was the saving grace of our night, she moved us up into handicap seating so Dad could be comfortable. Usually, they allow one person to sit with the disabled, the rest of the party stays in their seats. She was so sweet and didn’t split us up, letting the four of us sit in chairs with a killer view. It was incredible. We got there around four, parked in handicap without any fuss, were in our seats 15 minutes after that. In total un-Florida fashion, there was no rain. NO RAIN! 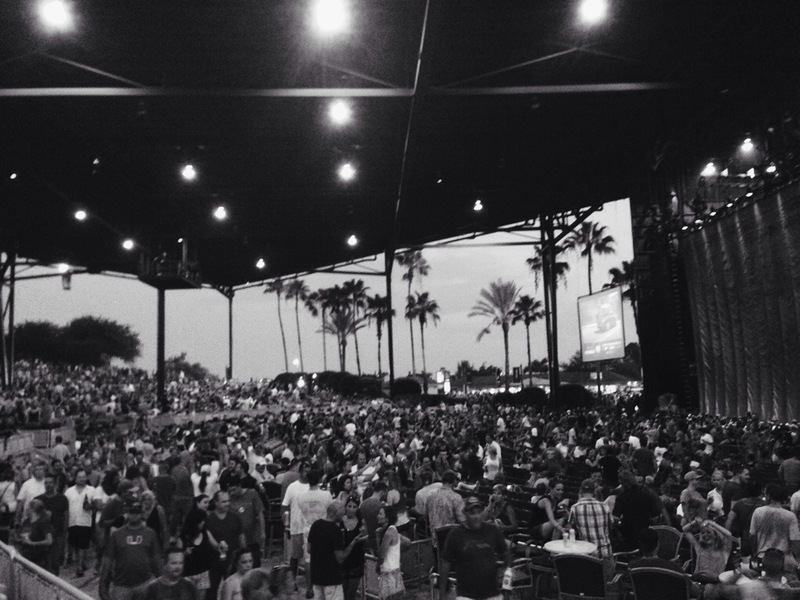 A little wind, $10 beers, and Dave sang some of my favorites – it was the best night. Dad is still talking about it, he called me yesterday to tell me his analysis on Burning Down the House with the Lovely Ladies. When I initially bought the tickets, Dad fussed about spending money on something “we could watch on YouTube.” A day or so later, he got excited and the day after his surgery he called me in a panic: “I don’t know if I can go to Dave Matthews like this! !” Quickly followed with Mom questioning his priorities in life. Either way, it’s been two weeks and Dad is still oozing about it, which made every cent worth while. Hahaha, your dad is so cute! I saw Maroon 5 and Kelly Clarkson at Cruzan… I had front row and was standing, Adam Levine ripped his shirt off and sweat all over me, it was amazing.